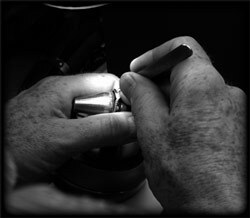 Michael Horan Jewellery is a family-run business based in the heart of Ireland. 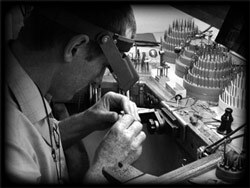 We specialise in handcrafting of the engagement rings and wedding bands, which we do with extra care for detail and quality. As all of our products are handmade in our workshop, we do not import finished jewellery or mass-produced pieces - this allows for a personalised service which takes in account profile, width, depth etc. and assures highest quality of the final product. Our rings can be customised according to your specification, as we believe they should be as individual as you are. The diamonds we use are generally colour D, E, F minimum VS clarity, though we carry more economical stones to suit every budget.